You have made your list and checked it twice. You know who has been naughty and who has been nice. You are ready to hit the shopping scene running, but there is just one hitch. You have to go shopping with so-and-so – with a narcissist. The one who can’t stop talking about themselves. The know-it-all, the center of attention, the most wondrous person in the whole world. Or so they think. For whatever reason this is the case, you will need to keep your sanity. Maybe these tips for going gift shopping with a narcissist without losing your mind will help. Chances are that because you are spending time with them, you probably know them pretty well. You already know they have a narcissistic view of things. So, putting their views into perspective is the best way to enjoy your time shopping. Decide to let some of those annoyances go, at least for the time being. Think about the positive things you enjoy about this person, and focus on that. What are the things that you truly enjoy about them? Are they fun to be with, even if it is all about them? Do you love that they are your best friend no matter what? Whatever it is that you enjoy about them, focus on that. You might need to keep this in mind so that when you come to a point in the day where they are annoying you again, you can remind yourself and stay positive. Have a list of gift ideas and stores you want to shop at and let them know this is your goal today. Set a boundary for today’s shopping trip. Let them know you have a goal that you want to accomplish today. That way they know upfront that you are shopping too, not just them. You might need to remind them throughout the day to stay focused on the goal. Ask them to bring a list of gift ideas and stores they want to shop at too. Then, make a plan for the day together. You can plot your course based upon your goals. The two of you can be a team and help each other accomplish the goals decided ahead of time. 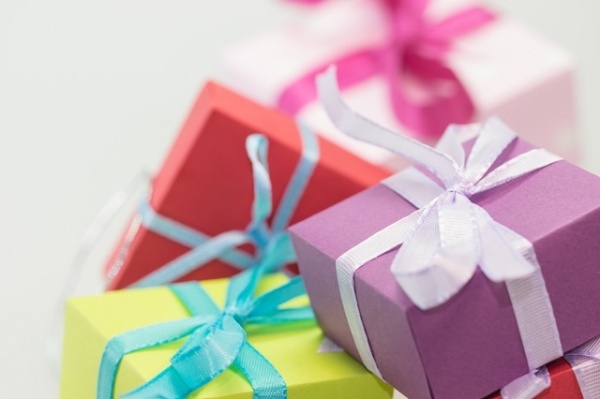 If you are really stuck on gift ideas, ask them for their valuable advice. Use their intelligence, whether it is perceived or real, for ideas. Maybe they have some really fun and unique ideas you never thought of. Okay, they might have a rant or two throughout the shopping day. The lines might be too long, or the sales associate is an idiot. You might even witness some rude comments made to others because they are not meeting your friend’s needs. Be prepared to have others offended and upset at your friend’s behavior. Remember who you are dealing with. The narcissist may or may not realize how inconsiderate they are. Think about and plan for how you will positively handle these negative experiences. Do whatever you need to in order to stay sane during these tense times. Maybe one of the ways you handle these tense situations is through humor. Without shaming them, maybe you can laugh or make a joke out of their behavior. It is extremely important to remember that many narcissists are actually dealing with low self-esteem or other underlying issues you may or may not be aware of. This humor might even help them understand just how inappropriate their behavior is at the time. If you keep things positive, it is possible that you will truly enjoy your time shopping with a narcissist – be they your partner, friend or relative. What are some tips you might want to share with us?